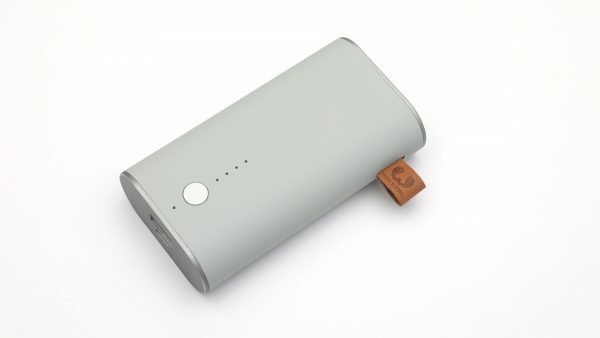 The 6000 mAh Fresh’n’Rebel Power Bank is an interesting device that comes with a cool looking design, LED indicator for the battery charge and even though the capacity of the battery inside is not that big it supports high output current. One of the most interesting features of this product is specifically the 5V / 2.4A input and output supported by the device, meaning that it can be charged faster and can charge faster devices supporting higher current charge. What we only need to consider it good product is a good performance delivered by it and everything should be just fine for this power bank. With the 6000 mAh Fresh’n’Rebel Power Bank (2PB2000CL) we have performed our usual 1.0A and a 2.4A constant current discharge tests and the results look very good in terms of stable and high voltage across the board. The discharge curves do look interesting as there are small “waves” for the voltage fluctuating slightly, but keeping relatively stable at around 5V for 1.0A and 4.9V for 2.4A constant current loads. The resulting available capacity with 1A discharge current is very good, though at the 2.4A test the usable capacity seems a bit disappointing with a short of 50% available mAh capacity as output from the power bank from the 6000 mAh battery inside the device. Still Fresh’n’Rebel did a very good job with the electronics of the power bank, maybe the battery cells used inside could be improved a bit for higher current output situations to make the device even better.